The notice to pay or quit, also referred to as a ‘notice to vacate due to late rent’, is used when a tenant is in default of their lease agreement for being late on their rental payment to the landlord. This is the most common type of notice in that is regulated by each States’ laws. In most, the tenant will have a specific time period to come up with the funds in order to pay the landlord the designated past due amount. If the tenant makes the payment within the legal time-frame their lease will be considered back in compliance, if not, they will have to move out of the property or face an eviction suit (known in most States as a ‘forcible entry and detainer’). 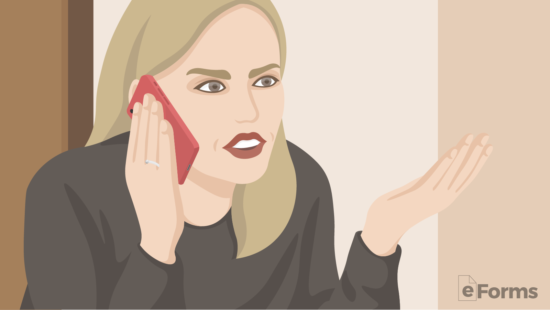 What Happens if a Tenant Doesn’t Pay? There are various reasons for a tenant to fail in making the rental payment. Landlords have a right to protect themselves and their asset, and one of those rights being filing a Notice to Quit. Address and property description. For apartments or condominiums, ensure the floor and unit number are listed. All tenants living on the property. The total back rent owed. The total late fees assessed, if applicable. The date payment is due by and where to remit payment. The signature of the landlord or the third party or authorized issuer that may be acting on behalf of a landlord (i.e., rental management company). The reason for the Notice to Quit (i.e., failing to comply with a preset rental agreement, maximum occupancy has exceeded, property use may be changed, the landlord would like the property for their own use or property is being sold in the near future). The date and repercussions of the tenancy if payment is not received timely and in full. 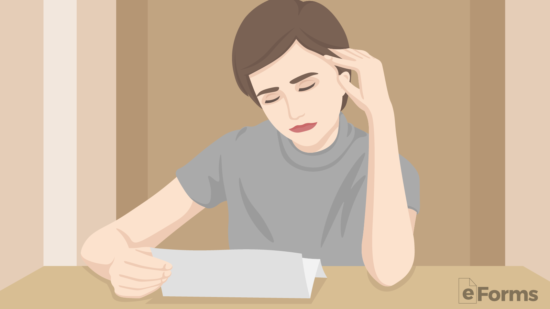 When a tenant has been provided a Notice to Quit, it will be important to provide them with the appropriate time frame to rectify the situation. Each state has local laws surrounding the amount of time each tenant has to satisfy the amount owed, and then at the minimum, the legally required amount of time should be identified on the Notice to Quit. The Notice to Quit should document all payments owed, to be inclusive of total rent to be paid current, late fees, and other incurred penalties as agreed upon on the rental agreement. 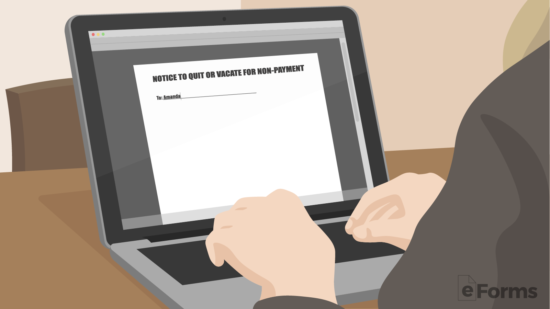 The Notice to Quit should also identify the months the rent is owed for. When a tenant fails to pay the total amount identified on a Notice to Quit, the landlord will have rights to begin the eviction process. Because the requirements for eviction can vary from state and even from city to city, the local tenant/landlord laws should be reviewed or legal counsel should be consulted, prior to beginning any eviction related action. Avoid communication or actions that may be considered harassment, while attempting to collect payment. 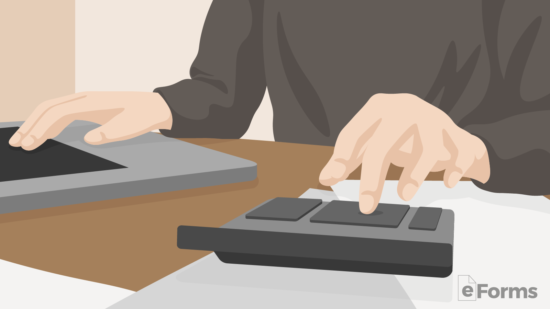 Avoid not documenting calls made to and from the tenant. Avoid unorganized record management of interactions (i.e., email, physical) communications with the tenant(s). Avoid losing records of previous payments made, inclusive of the payment amount, payment date, payment means, additional fees included in the payment as appropriate (i.e. late fees assessed). Avoid inconsistent messages to the tenant by providing additional time to make a payment some months over others. After serving a notice to pay or quit to a tenant he or she will have the following time periods in order to pay back the rent including any late fees. *KS – Unless tenancy is shorter than three (3) months therefore it would be three (3) days. **NJ – Immediate or thirty (30) days depending if the landlord has previously accepted late rent. If they have, then the tenant has thirty (30) days to pay or quit (§ 2A:18-61.2(b)). ***TN – Fourteen (14) days to cure the issue and thirty (30) days if it has not been cured to vacate the premises. In some States, there is a grace period that allows a tenant extra days to make payment of rent without penalty, late fee, or becoming in violation of their lease agreement. If there is “No Statute” in the specific State, it means that there is neither a law limiting nor restricting the maximum penalty amount the landlord may charge. 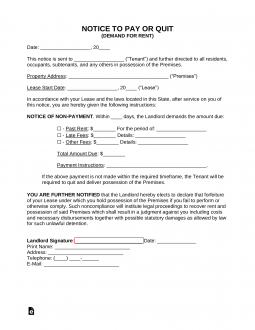 Granted, any late rent penalty must be specifically outlined in the tenant’s lease agreement.